Due to its size, geography, and history, Poland is a concerned, active, and ambitious foreign policy player. 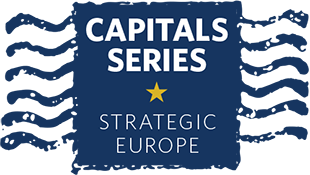 Strategic Europe continues its series devoted to explaining the foreign and security policy ambitions of the 28 EU member states. We have asked our contributors from each capital to give a candid assessment of their country’s perception of security and strategy, with a ranking on a scale from 0 (the laggards) to 5 (the ambitious). This week, the spotlight is on Poland. Because of its history and geopolitical position, Poland has been condemned to remain worried and active when it comes to foreign policy. The country’s ambition in this field scores 5 out of 5. Poland’s entry into NATO in 1999 and the European Union in 2004 fulfilled a national dream of leaving behind the Soviet hell and anchoring the country in the Western world of free, safe, and prosperous nations. Just months after joining NATO, Poland took part in alliance-led operations in the Western Balkans, with no questions asked. And for years, with few questions asked, Polish soldiers participated in several NATO and EU missions and some international coalitions of the willing, such as those in Iraq and Chad. In these dealings with their allies, the Poles were as determined as they were inexperienced, and they were often treated as such, particularly in the EU. On the eve of the U.S.-led invasion of Iraq in 2003, then French president Jacques Chirac arrogantly warned Poland and other Eastern European states to use the opportunity to “keep quiet”—and not just on Iraq. But keeping quiet is the last thing to expect from the Poles, not because of their national character, but because of their interests, which are not necessarily identical to those of many older members of the European club. Poles have learned that idealistic proclamations can hide national interests, mainly economic ones. Today, Poland—like most other EU member states—often promotes its interests with determination, using all possible levers of power on the national and the EU level. One such regional coalition is the Visegrád Group, which brings together Poland, Hungary, the Czech Republic, and Slovakia. For years, this group was an effective tool for coordinating policies vis-à-vis other member states and the European Commission and for minimizing regional differences. That is the main reason why Warsaw often refrained in the past from criticizing the damaging policies of Hungary’s Prime Minister Viktor Orbán. But by cozying up to Russian President Vladimir Putin, Orbán weakened European solidarity toward Russia. Polish Prime Minister Ewa Kopacz didn’t pull any punches when her Hungarian counterpart visited Warsaw in February 2015. Indeed, a lack of consensus on Russia between Warsaw, Budapest, Prague, and Bratislava has considerably weakened the Visegrád Group. The four states have many common sectorial interests, from energy to transportation infrastructure, but there is little trust left. It is in Poland’s interest to salvage what can be salvaged from the group. But the foursome’s passion is gone. #Poland is condemned to remain worried and active on foreign policy. Particularly important has been Poland’s bilateral relationship with the United States, thanks to its added security value. Relations have had their ups and downs: the U.S.-led intervention in Iraq was and remains a disaster; and Afghanistan cannot be considered a particular success either. In spite of declarations about working with allies, all major strategies unveiled by U.S. President Barack Obama and his predecessor, George W. Bush, were announced with no consultations. That was duly noted in Warsaw. There is therefore a prevailing mood of skepticism among Poles—from senior politicians to the general public—toward new out-of-area missions. A bitter experience with CIA detention centers stressed the need for stricter political and judicial control of some aspects of cooperation. However, Poland is among the states willing to lead from the front and implement the allies’ joint decisions, whatever it takes. The Weimar Triangle of Poland, France, and Germany has also been a useful platform for communication and policy coordination—though it too has its limits. Germany became the model for an approach that is skeptical of the ability of military means to solve the world’s problems. But there is now a predominant feeling in Poland that there are limitations to such skepticism, particularly in view of Russia’s aggressive stance not just toward Ukraine but also more broadly through its challenge to the rules-based world order. Germany’s refusal to strengthen the defense of NATO’s Eastern frontline states could have become a source of major divisions. But Berlin’s decision to send 5,000 German troops, some under Polish command, to Eastern Europe for training shows a willingness to reassure the allies. As for ties with France, much closer security and defense cooperation with Paris under President François Hollande was a source of satisfaction for Warsaw after years of eccentric behavior by his predecessor, Nicolas Sarkozy. Poland responded by participating in EU missions to Chad and the Central African Republic. More recently, Poland has become a particularly popular destination for allied governments following the announcement in May 2015 that Warsaw will invest some $40 billion to modernize its armed forces by 2022. In the last year, a third of the U.S. cabinet has visited Poland. French ministers are also traveling to the country at a rate unseen for years. Many of these visitors want to sell their military wares. Clearly, a litmus test for Poland’s foreign relations remains the allies’ attitudes toward the biggest threat to European security: Russia’s policies of aggression and of changing borders by force. An April 2014 poll found that 47 percent of Poles believed that their country’s independence was at risk. Under former prime minister Donald Tusk and foreign minister Radek Sikorski, Poland was a particularly effective actor, influencing Europe’s firm response to Moscow’s behavior. That influence was reduced when Putin insisted—with the agreement of Berlin and Paris—on leaving Poland out of the so-called Normandy format negotiations on resolving the Ukraine crisis. That was a bitter pill for Warsaw, and a reality check for many. The present government is conceptually and politically weaker than the Tusk-Sikorski tandem. But one can still expect a tough, if not dramatic, response from Warsaw if Kiev comes under pressure to accept a Yalta-like fait accompli at the expense of Ukraine’s strategic interests. Poland remains a strong but discreet supporter of the demand to assist Ukraine—from finances to arms. Warsaw will continue to show toughness in its relations with Russia, and tensions will remain if Berlin and Paris do not pay attention to Poland during their dealings with Moscow in the Normandy format. Because of the Russian threat to the stability of Eastern Europe as a whole, there is a growing recognition that Poland has more in common in terms of threat perceptions with Sweden, Finland, and the three Baltic states than with the other Visegrád countries, France, and Germany. There is a visible return in #Poland's foreign policy toward Atlanticism. At the same time, there is a visible return in Polish foreign policy toward NATO and strong Atlanticism at the expense of the EU’s Common Security and Defense Policy, as divisions among EU member states in this area are not a solid basis for dependable policies. Many in Warsaw consider European Commission President Jean-Claude Juncker’s call in March 2015 for an EU army to be an illusion and a distraction. The internal cohesion of both the EU and NATO is of paramount importance to Poland, and Warsaw will support almost any course of action that will strengthen the alliance and the community approach within the EU. Looking ahead, the question is whether the Polish political elite will maintain a consensus on security policy. Aggressive election campaigns this year—before May’s presidential vote and ahead of October’s parliamentary ballot—have already revealed a new attitude among the younger generation. Central to that attitude are a focus on Poland’s own development and a reduced interest in the rest of Europe and the world. May’s presidential election led to the unexpected departure of Bronisław Komorowski as head of state. His successor, Andrzej Duda, is as unknown as he is inexperienced in foreign affairs. Meanwhile, it is not unreasonable to expect a new government led by former prime minister Jarosław Kaczyński’s conservative Law and Justice Party to emerge in October. It can only be hoped that the poisonous rhetoric of the current election campaign will not translate into bad policies. What is truly worrying in view of the Russian threat to European security is the possible return to an old Law and Justice Party project to build an alliance of post-Communist states as a counterweight not only to Moscow but also to Berlin and Paris. Such a “coalition of the weak” would hardly be of added value for Poland or for Europe. Eugeniusz Smolar is a senior fellow at the Center for International Relations. I can not agree that the expansion of contacts in Warsaw with the three Baltic States would be highly desirable and useful - while maintaining ties with its neighbors. Moreover, far from being exhausted possibilities Warsaw to establish new relations with Minsk. So, Warsaw - an important political player in Eastern Europe.